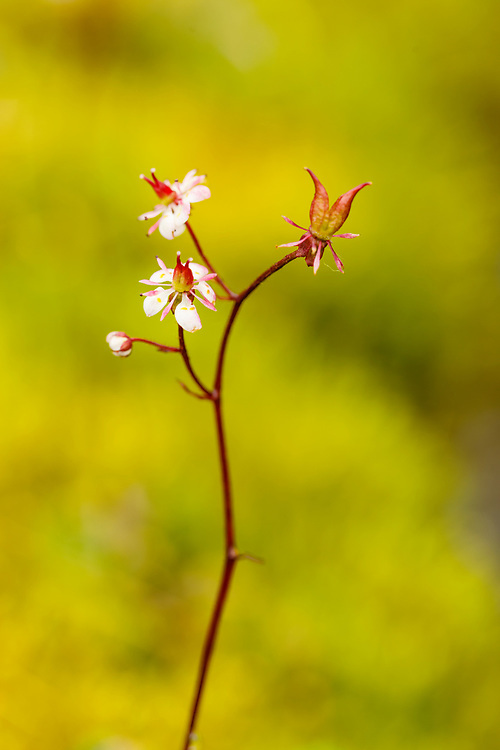 Closeup of Red-stemmed Saxifrage (Saxifraga Lyallii) Hatcher Pass in Southcentral Alaska. Summer. Afternoon.